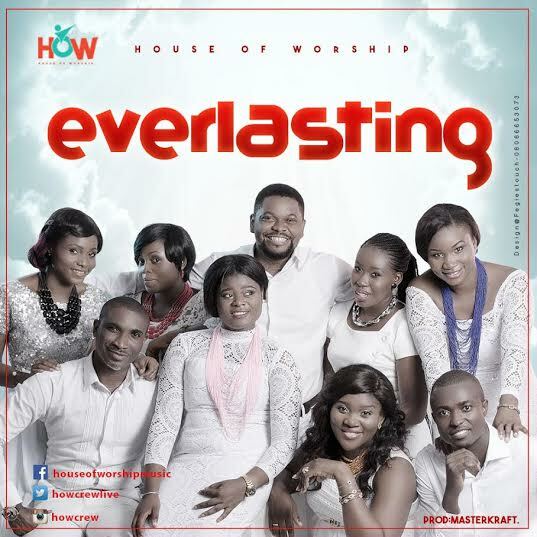 Christian Media in Nigeria : House of Worship presents a gospel debut single "Everlasting"
House of Worship presents a gospel debut single "Everlasting"
House of Worship (HOW) has just released its debut single - Everlasting. HOW is a gospel singing/music group with a vision of building end-time worshipers and a mission of changing every atmosphere with undiluted praise. Founded on the 28th, January 2014 by Mrs. Oluchi Onwuteaka this group can be described as a group filled with great and anointed characters taking pieces from every genre of music. HOW is made up of 14 sensational set of people with strong passion, great zeal for God and hearts of worship to make a difference in the Gospel industry at large, with 5 instrumentalist and 9 singers HOW has been blessing lives and converting souls with gospel music.